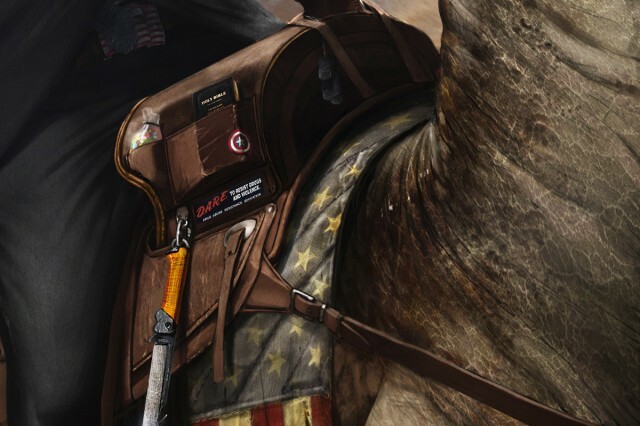 Artist Jason Heuser is back with another Presidential tribute piece that brings historical times to the modern battlefield. The original (Ronald Reagan Riding a Velociraptor) and Battlefield 3 style (Reaganfield 3) prints are now available at his Etsy shop, The Epic Art Store. “Mr. Gorbachev, I tore down that wall” The famous speech President Ronald Reagan gave after he destroyed the berlin wall. 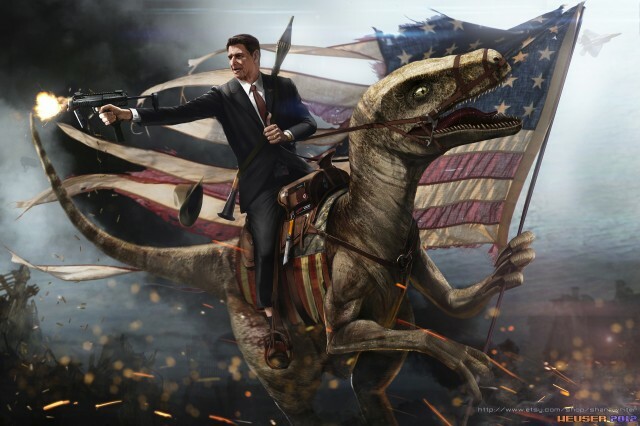 He rode he most trusty steed into battle…a raptor which he had the CIA clone for such an occasion. 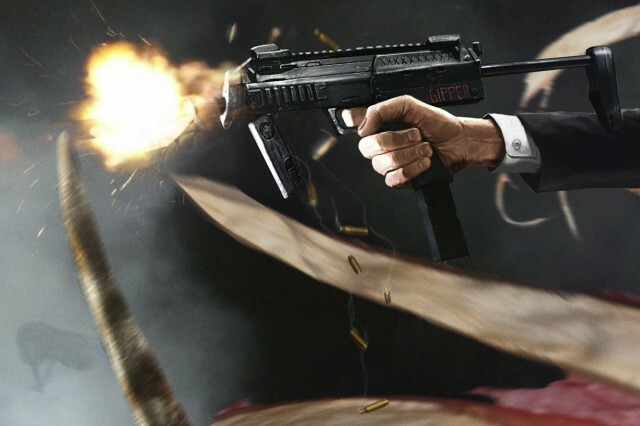 Practice Reaganomics today and buy this print to show your love for ‘merica! You might also take note of the extra Halo addition hidden within the second detail shot below.